Dr. Wayne W. Dyer - What's Your Dharma? Dr. Dyer talks with callers about the practice of forgiveness and how to promote love not hate on a daily basis. Dr. Dyer talks to callers about finding inner peace along your spiritual path. Dr. Dyer shares his story of recovering from neck pain and how he is trying to heal, also how we can all learn to "Let it Be" and cultivate patience. Dr. Dyer discusses how to program new thoughts this time of year for a stress free holiday. Look into starting a meditation practice and reap the benefits. Instead of thinking of the holiday season with anxiety try to see the events through the eyes of a child. Dr. Wayne W. Dyer - One Mind with Larry Dossey, M.D. Join Dr. Wayne Dyer as he discusses the book One Mind with author Larry Dossey, M.D. Dr. Dyer talks with Larry about some of the powerful principles in the book and shares his views on the nature of our mind and how it has no limits. Dr. Dyer comments on the book by Anita Moorjani Dying to Be Me. Anita shares a powerful message from the Other Side that our true essence never dies and that the Universe is orchestrated by a Divine Intelligence. Death is not something to fear. Dr. Wayne W. Dyer - From Ordinary to Extraordinary! Dr. Wayne W. Dyer - The Divine is Talking Are You Listening? Dr. Wayne W. Dyer - Who Were Your Greatest Teachers? Dr. Wayne W. Dyer - Which Path To Take? Dr. Wayne W. Dyer - How May I Serve? Dr. Dyer talks with caller Denise about her conflicted relationship with her husband. To find out more about Dr. Wayne Dyer, please visit www.drwaynedyer.com. Dr. Dyer give's a caller advice on a relationship that has ended. To find out more about Dr. Wayne Dyer, please visit www.drwaynedyer.com. Dealing with some tough times, a caller in San Francisco asks Dr. Dyer about moving through these transitions with grace. To find out more about Dr. Wayne Dyer, please visit www.drwaynedyer.com. Dr. Dyer talks to a caller from Texas about dealing with death and loss. To find out more about Dr. Wayne Dyer, please visit www.drwaynedyer.com. Dr. Dyer chats with a caller from Queens, NY about staying on track with a consistant meditation practice. To find out more about Dr. Wayne Dyer, please visit www.drwaynedyer.com. Dr. Dyer chats with a caller from New York about making a job transition without fear. To find out more about Dr. Wayne Dyer, please visit www.drwaynedyer.com. Sara Blakely, the founder of Spanx joins the show to share how Dr. Dyer's teachings have helped inspire her to reach phenomenal heights of success. To find out more about Dr. Wayne Dyer, please visit www.drwaynedyer.com. Dr.Dyer also councils a teacher from Toronto who is trying to keep her students inspired and engaged. To find out more about Dr. Wayne Dyer, please visit www.drwaynedyer.com. Dr. Dyer councils a caller in South Carolina about learning to release guilt after the death of a family member. To find out more about Dr. Wayne Dyer, please visit www.drwaynedyer.com. Dr. Dyer talks to a caller in California who wants to experience divine love even when going through a difficult divorce. 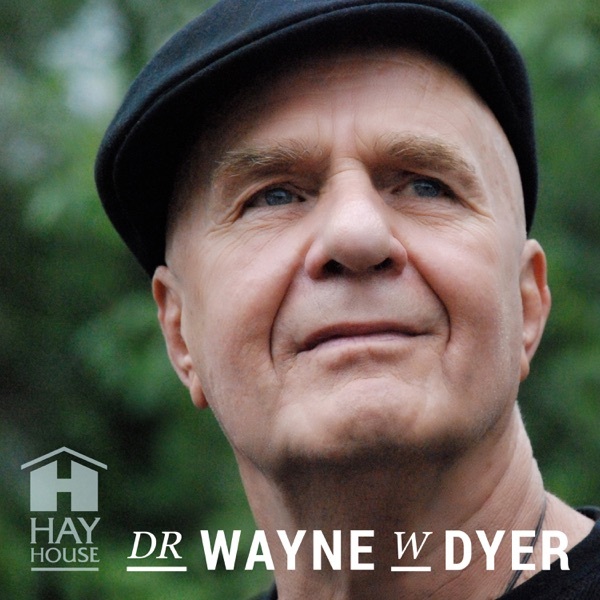 To find out more about Dr. Wayne Dyer, please visit www.drwaynedyer.com.